Coming from the Publisher of the same news organization, it’s a good question. Indeed, Now What? Stage a coup? He wasn’t convinced. Neither was Niall Harrison of simplyzesty.com, when it first came out. 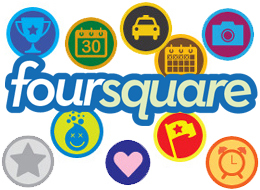 “But how does our newsroom use Foursquare?” our Publisher continued. Well, I pointed out, I had just checked in a Rideau Hall, waiting for the Rick Hansen to appear. Instantly, a link to a National Post profile of Governor-General David Johnston popped up. That drives traffic to the Post’s mobile site. And, some news agencies have sent readers followers on treasure hunt, having them check in around the city for clues. Others have put their restaurant reviews with each check in. It lets us know where our readers are, I said to him, and how can that be bad? He conceded that point, but I’m sure I won’t have a foursquare friend request from him soon. Foursquare hasn’t caught on in Ottawa like it has in the U.S. When I recently went to Boston for the Online News Association‘s annual conference, I was lucky enough to head to Fenway Park. When I checked in there, I got a ‘super swarm’ badge, as more than 250 others had checked in. When I checked in at the Ottawa Airport, only one other person had checked in. At the AIRPORT. Maybe we shouldn’t, but here’s why I do: I think mobile news, information and commerce play a huge role in the future of journalism and the news business. I think location will play a significant role: providing news, useful information, coupons and other content and commerce relating to a person’s precise location at a particular moment. I don’t particularly think Foursquare has figured out what that future will be. But it’s the leading player in location now (having beaten back a Facebook challenge), and if I check in and play the silly games, I hope I’ll play a role in finding or shaping that future, or will be in a position to take advantage when someone else finds and shapes it. Buttry writes that some media organizations are using Foursquare’s API to sell local ads to merchants. This just makes so much sense. So while I’m not sure there’s one single reason our newsroom needs to be on Foursquare, I’m with Buttry: I don’t think we can afford to ignore it.